These documents were purchased without clear ‘provenance,’ which has meant that research must be undertaken to discover more about the authors. This is an ongoing project for Gold Museum staff and new material will be added as it is located. Initial research has determined that James Petford’s family lived in the English village of Cradley, located in the ‘Black Country’ of the West Midlands, in what was once Worcestershire now the Metropolitan Borough of Dudley. Research has not yet discovered exactly what happened to Mary Ann, but James must have resolved his marital difficulties eventually, for in October 1862 he wrote to his parents to tell them he had married Jane, ‘a Scotch lady…from a very respectable family’ who has ‘rich relations.’ Jane later writes letters of her own, which have yet to be deciphered and transcribed. 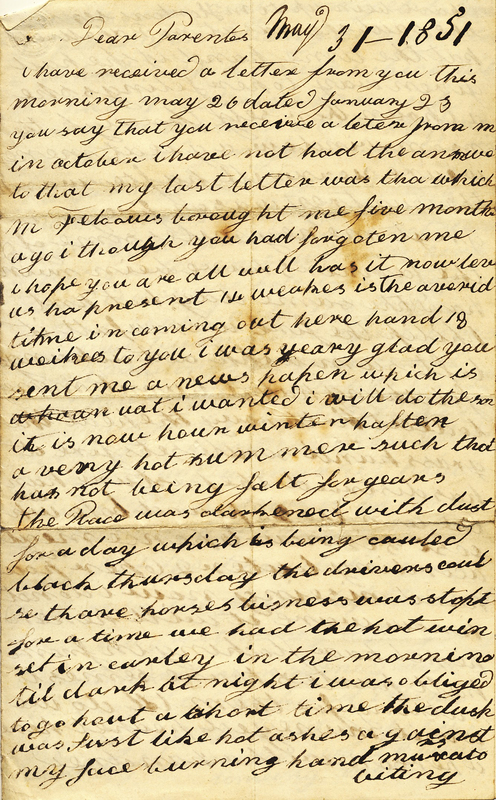 The Petford Letters Collection offers a great opportunity for insight into the life of one man and his family in nineteenth century Australia. Further research will aim to uncover biographical details about James, Mary Ann and Jane in order to learn more about who they were and how they lived. 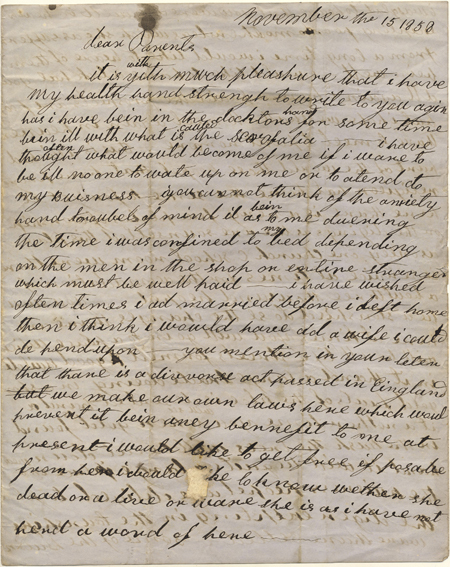 Examples from this collection are currently on display at the Gold Museum as part of an exhibition entitled Letters of the Goldfields, along with other letters from the 1850s, 60s and 70s. 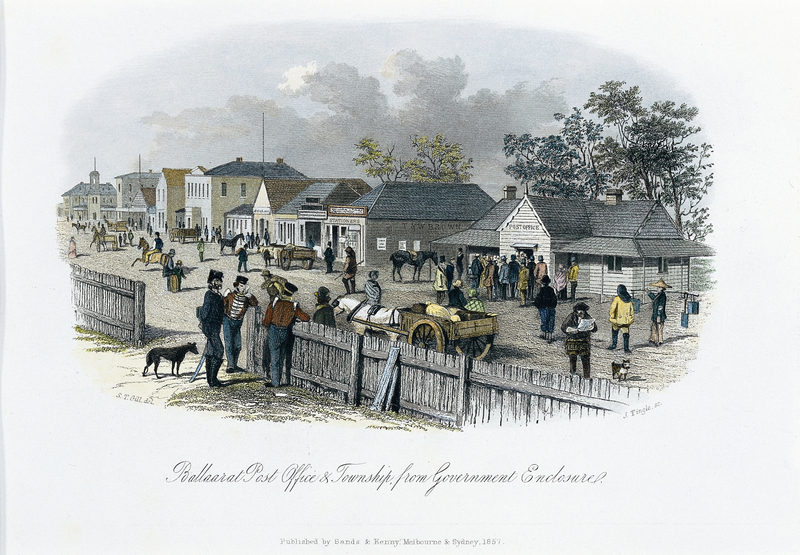 Cradley Links; Woady Yaloak Historical Society; Heritage in the Golden Plains Shire; City of Ballarat Heritage. Leave a reply on "Petford Letters Collection"